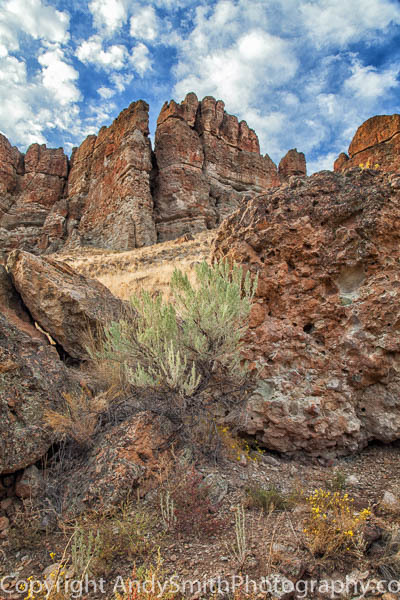 The Palisades near Clarno, Oregon, is a group of towers formed from a series of mudflows 44 million years ago. The fossils here include an assortment of 173 species of trees, vines, shrubs and other plants found thus far as well as animals that inhabited a near-tropical forest. Some of these fossils are visible on the short trail. The towers in this image are lighted by the late afternoon dun. The Palisades are in the Clarno Unit of the John Day National Fossil Beds Monument.